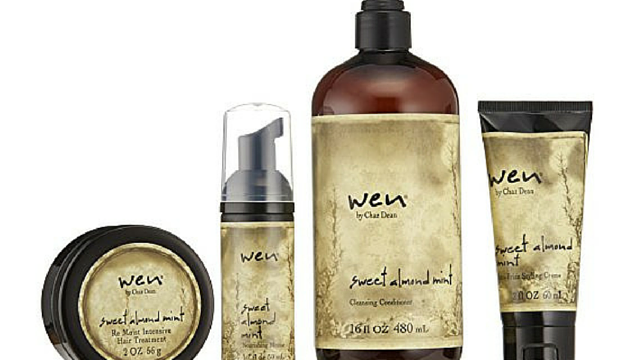 Home / Hair • Hair Care • Hair Product Ingredients • Healthy Hair / What’s Going on with WEN? What’s Going on with WEN? WEN products have been on my to try list for some time and I always meant to get to it eventually. When it first arrived on the market, a lot of women especially naturalistas extolled its benefits. It advertised the ability to carry out 5 functions in one – cleanse, condition, deep condition, detangle and act as a leave in; all you’ll ever need for hair care in one bottle. The only thing that held me back at the time was price point and they shipped to US and Canada only. WOW! An article over at The Daily Beast breaks down the class action suit, which is being filed by over 200 women in 40 US states. The scariest thing in all this is some of the women claim when they stopped using the products, the problems they experienced persisted for a good while longer and took a while to rectify. Fig: Water, Glycerin, Cetyl Alcohol, Rosemary Leaf Extract, Wild Cherry Fruit Extract, Fig Extract, Chamomile Extract, Marigold Flower Extract, Behentrimonium Methosulfate, Cetearyl Alcohol, Stearamidopropyl Dimethylamine, Amodimethicone, Hydrolyzed Wheat Protein, Polysorbate 60, Panthenol (Pro-Vitamin B5), Menthol, Sweet Almond Oil, PEG-60 Almond Glycerides, Methlisothiazolinone, Methylchloroisothiazolinone, Citric Acid, Essential Oils. Sweet Almond Mint: Water, Aloe Vera Gel, Glycerin, Chamomile Extract, Cherry Bark Extract, Calendula Extract, Rosemary Extract, Behentrimonium Chloride, Stearamidopropyl Dimethylamine, Cetyl Alcohol, Emulsifying Wax, Panthenol, Trimethylsilylamodimethicone, Hydrolyzed Whole Wheat Protein, PEG-60, Almond Glycerides, Menthol, Essential Oils, Citric Acid, Methylchoroisothiazolinone, Methylisothiazolinone, Fragrance. At first glance, there really isn’t anything in there that should cause these kinds of severe problems. Is there some other ingredient we aren’t aware of that isn’t listed? Or is it possible that one product can’t be a cleanser, conditioner, deep conditioner, detangler and leave in all at once without leading to clogged pores along the way? The company has denied that their products cause hair loss but 200 women is a lot. Read the full report here – The Daily Beast. Personally, I will be taking it off my list until further notice. Have you or anyone you know experienced hair loss with the use of WEN products?